What Is Microsoft Azure? Azure Is Microsoft’s Cloud Services Platform. It’s a growing collection of integrated analytics, computing, database, mobile, networking, storage, and web services, all supported by a network of Microsoft-managed datacenters. Open and flexible: Azure supports the broadest selection of operating systems, programming languages, frameworks, tools, databases, and devices. Easy integration: Azure integrates with your existing IT environment through a large network of secure private connections, hybrid databases, and storage solutions. 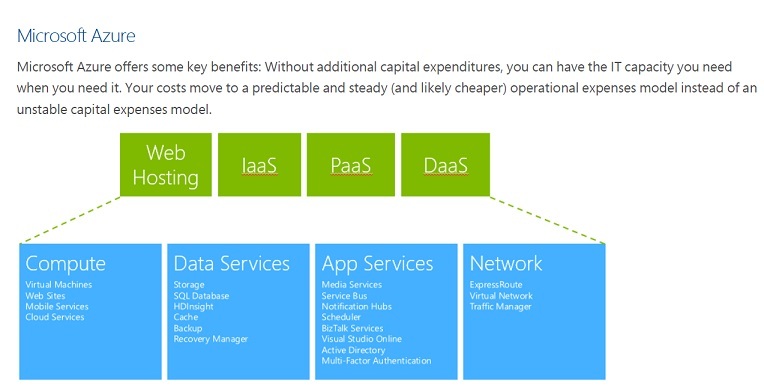 Economical and scalable: Azure’s pay-as-you-go services can scale up or down to match demand, so you only pay for what you use. Why Partner with RMON Networks for Your Azure Project? RMON Networks employs a team of certified technology professionals We encourage you to explore our customer testimonials and view all our certifications. Additionally, RMON Networks guarantees their work, so you can feel confident your project will be completely properly, or your money back.